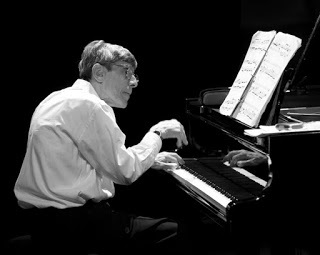 The Music Department of Long Island University CW Post presents Grammy Award nominated pianist David Holzman in recital on Tuesday, March 5th, 2019 at 8:15 PM. The concert will be held at The Great Hall of Long Island University, CW Post Center at 720 Northern Boulevard, Brookville, NY. A pre-concert lecture by the artist will take place at 7 PM titled, "A Pianist Confronts Hearing Loss and Epilepsy"
Holzman's performance will feature premiere's by four American composers: John McDonald, William Bland, James Ricci, and Jeffrey Hall as well as classics by Arnold Schoenberg and Frederic Chopin. This is a nice live recording of a short woodwind quintet that I composed in 2004. The performance was on May 11th, 2007 by The Solar Winds.